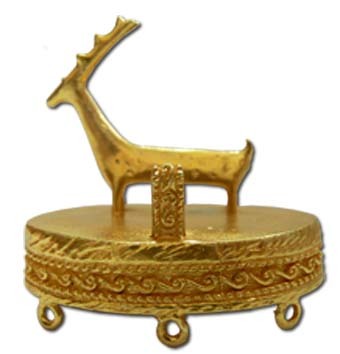 "These remnants of ancient Georgian culture were what drew us to join John Graham, an American musicologist and tour leader who lives in Tbilisi, the Georgian capital, and seven other travelers on a journey that began in the Black Sea city of Batumi, circling through the Turkish cities of Kars, Yusufeli and Ardanuc, before ending in Tbilisi. "John himself, whom I had met in Paris when he was touring with a choir of Georgian singers, provided the other lure. 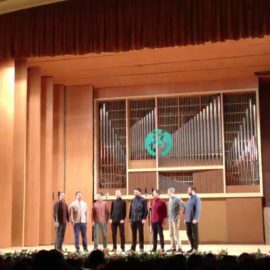 An academic expert in Georgian polyphonic chant, with a doctorate from Princeton, he had promised us music along the trip, and he delivered — including in a Georgian restaurant and a Turkish tearoom, isolated mountain churches and a rousing summer jazz concert in a Tbilisi park. Read the article. John Graham’s deep understanding of Georgian culture, history, geography, and politics combines with his thorough familiarity with life in Georgia today. Add to this a keen sensitivity to those around him, a warm disposition, and superb musicianship, and you have a truly exceptional tour leader who will help you not just learn about this ancient land and its people, but to experience it deeply. I have had the good fortune of traveling all over the world with all sorts of tour groups and guides. This, by far and away, was one of the best and most memorable trips of my life. John and the group members were simply amazing! I am already thinking to myself — how can I get back to Georgia? John thanks for guiding me on this trip! I give it five stars. Travel Program… Trade caravans plying the northern routes through the Caucasus brought more than material goods with them: they brought cultural and linguistic influences from far and near, a cultural exchange that is still relevant and present today in the arts of Georgia. Beginning in Tbilisi, we visit the studios of local fresco painters, cloisonne jewelers, stone carvers, felters, and specialty sword-smiths to discover the rebirth of Georgian traditional arts. We visit the opera, rehearsals of traditional folk singers, church services to hear liturgical chant, and rehearsals for semi-professional dance troupes to glimpse the world of the performing arts. The travel program takes us out of the city to find the original locations for these arts and to discover rural artisans living and working outside of the city. 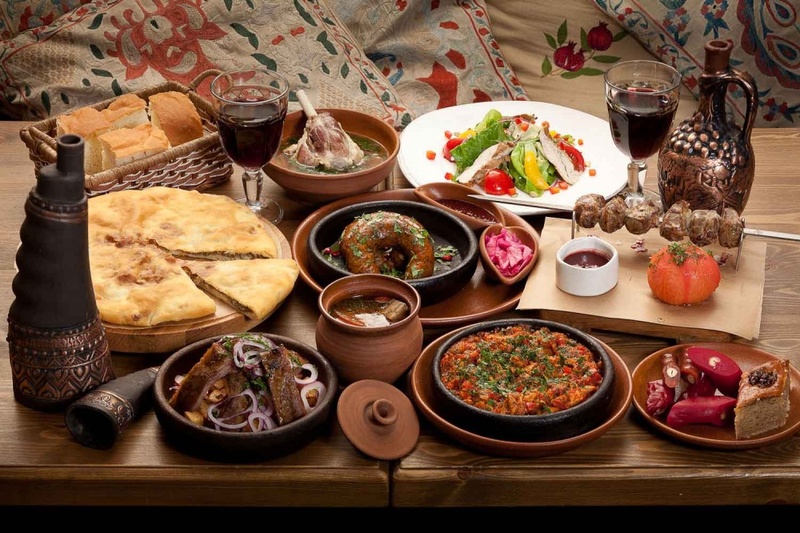 Accompanied by singers, and featuring the best in local regional cuisines and wines, this tour is a feast for the senses. Read more here! Travel Program… One of our most popular tour programs, the Ancient Christianity tour focuses on the most important Christian sites in Armenia and East Georgia. Our tour begins and ends in Tbilisi, the thriving cultural and business capital city of Georgia. On day 3, we travel south to Yerevan, the bustling capital city of Armenia... Read more here! Travel Program… We begin and end the tour in Tbilisi, the capital of Georgia (airport designation TBS) and a beautiful city that featured prominently on trade routes from Asia to Europe. The focus of this unique itinerary will be walking trails in the High Caucasus mountains. We will not be roughing it, however, as jeeps will carry our luggage to the end point, and we will stay in cozy 3-star hotels where a cool beer, a hot shower, and comfortable bed awaits. 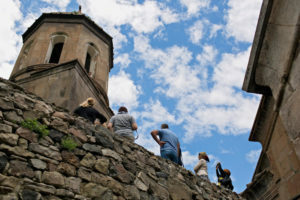 JohnGrahamTours specializes in the culture of Georgia: therefore, in addition to our walking schedule, there will be an emphasis on visiting medieval churches to see original frescoes, meeting local families to learn about their lives and customs, and experiences with the music and dance of the local people. Read more! Travel Program… We begin and end the tour in Tbilisi, the capital of Georgia (airport designation TBS) and a beautiful city that featured prominently on trade routes from Asia to Europe. 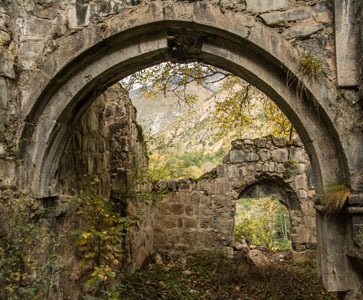 The focus of this unique itinerary will be walking trails in the High Caucasus mountains. We will not be roughing it, however, as jeeps will carry our luggage to the end point, and we will stay in cozy 3-star hotels or best available mountain lodges where a cool beer, a hot shower, and comfortable bed awaits. 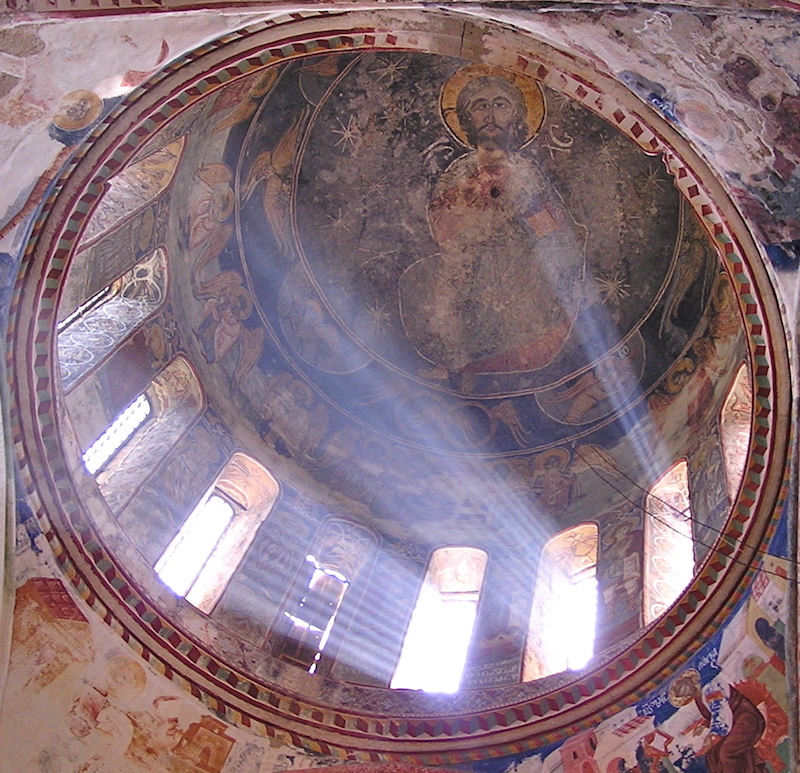 JohnGrahamTours specializes in the culture of Georgia: therefore, in addition to our walking schedule, there will be an emphasis on visiting medieval churches to see original frescoes, meeting local families to learn about their lives and customs, and experiences with the music and dance of the local people. Read more! Travel Program… The focus of this unique cultural program will be to visit and understand the impact of the bronze-era kingdom of Colchis, and its dependency on the mountain tribes for mineral resources. 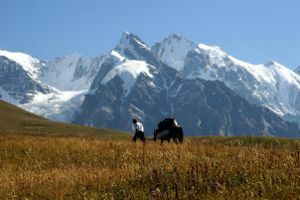 After traveling to the Black sea coastal region of Georgia (ancient Colchis), we will pay particular focus to travel through the unique cultural and geographical highland region of Svaneti. The region features a unique language, its own folklore, folk music, and cuisine. The villages are punctuated with thousand-year-old defensive towers, and each town has several Christian chapels with original frescoes dating to the 10th-12th century period.... Read more! 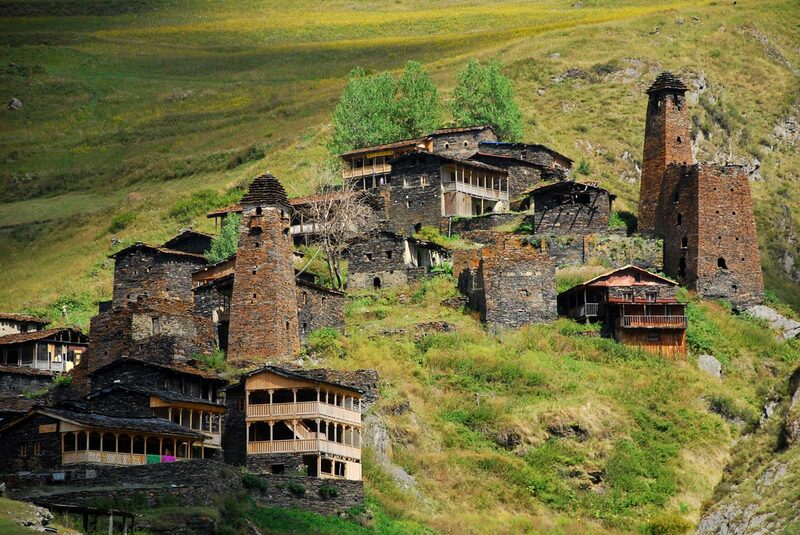 Travel Program… This unique tour program features the best of the Kakhetian viticulture region in East Georgia, with an adventurous foray into the exquisitely preserved highland meadows and valleys of Tusheti (Now a designated UNESCO World Heritage Area, and National Park). Starting in the bustling capital of Tbilisi, we explore the multi-ethnic heritage of this city through the museums, architecture, cuisine, and music. Venturing up the Mtkvari River, we visit the ancient capital of Georgia, Mtskheta, where rivers converge and Christianity was first adopted in 326 AD as a state religion. 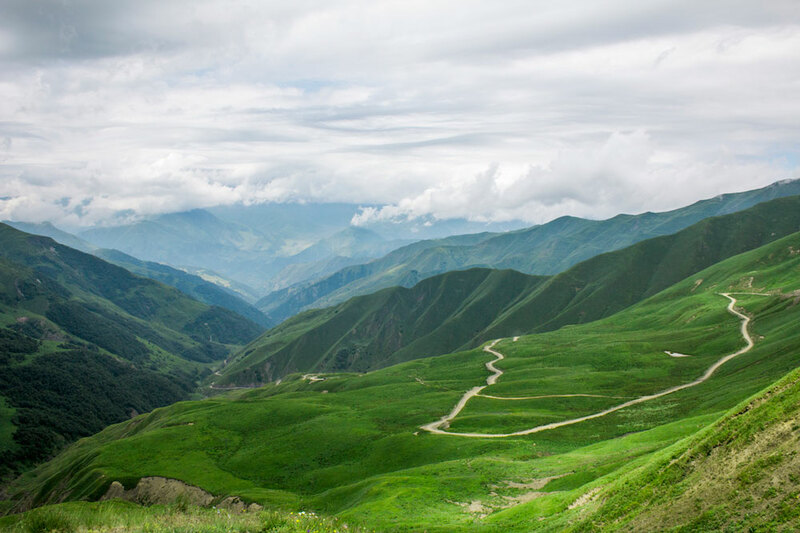 After returning East, we take a steep dirt track into the high mountains, going where few tourists brave... Tusheti, land of shepherds, awaits only the most intrepid travelers. Read more!